3D mapping which is also called projection mapping or spatial augmented reality which is a technology used to project a 2D or 3D object onto a surface or display through spatial mapping. It is mostly used by artists or advertisers to add movement, depth, and dimension to objects that are static such as stages and buildings. However, the span of drone usage for 3D mapping is ever increasing and it will boost your business to get in on the action. What Can be Done with Drones and 3D Mapping? When you implement 3D mapping into your project by using drones like the Phantom 4pro, the sky is the limit. You’ll be able to capture aerial imagery of your prospective job site before, during, and after each project. Maybe you need to generate topographical drawings or estimate earthwork quantities? For instance, you can survey a 17-acre property in about 30 minutes as opposed to hours or even days depending on how much manpower you use. Before the project, you can use 3D mapping, aerial or drone photography to scan real estate for a future building project. This can be used to show prospective investors the vastness or intricacies of the land. Aerial photos and aerial imagery can also be used to make a virtual presentation to possible investors. You will also be able to take measurements and dimensions of your future job site to speed up the design process along with giving a better understanding of the lay of the land, so to speak. During the building process, you can keep track of large and small real estate projects. You will feel comfortable knowing all of your projects are progressing as needed without having to board an airplane or sit in hours of traffic. When your project is finished you will be able to create stunning virtual presentations to show your new space to potential clients. Your clients will be extremely impressed with your ingenuity as well as preparation and professionalism and this will have them ready to buy into your project. The information you can gather using drones for 3D mapping compared to google maps is vast. Drones can create an orthomosaic image which is similar to google maps but far superior since the resolution for orthomosaics is about 2 cm per pixel and geolocation accuracy is brought down from meters to centimeters when using a drone for 3D mapping compared to google maps. What can 3D Mapping with Drones do for Your Business? Allow you to be in L.A. and view a project in N.Y. or elsewhere 24/7. 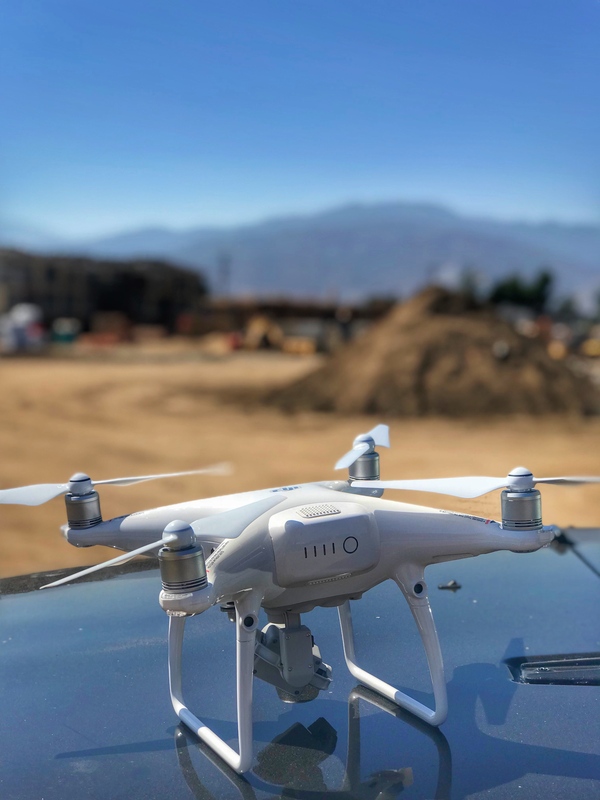 So whether you are surveying a new or existing construction site or perhaps a farm or vast residential layout; pick up a Phantom 4pro professional drone camera to create stunning aerial views with 3D mapping that are going to impress your clients and potential investors with ease. This entry was posted in Uncategorized and tagged 3d mapping, 3d modeling, aerial, buildings, business, cell tower inspections, construction, construction site, DJI, drone, farming maps, farms, land survey, phantom 4 pro, photography, progress maps, roof inspections, videography, weekly progress.